Play Unplugged has another one of their Grammy-award-winning reviews up. 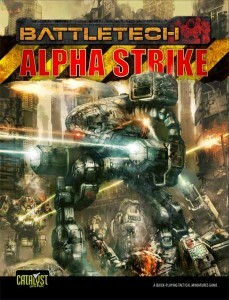 This one's for the Battletech: Alpha Strike rules, new from Catalyst Game Labs. Play Unplugged's veteran MechWarrior Scott Pyle jumps back in the cockpit to review Alpha Strike, a Classic Battletech variant from Catalyst Game Labs.